The title comes from a key quote from an Associated Press story via US News and World Report article announcing that a government shutdown would "suspend or delay food stamp payments to some of the 46 million Americans who receive the food aid." 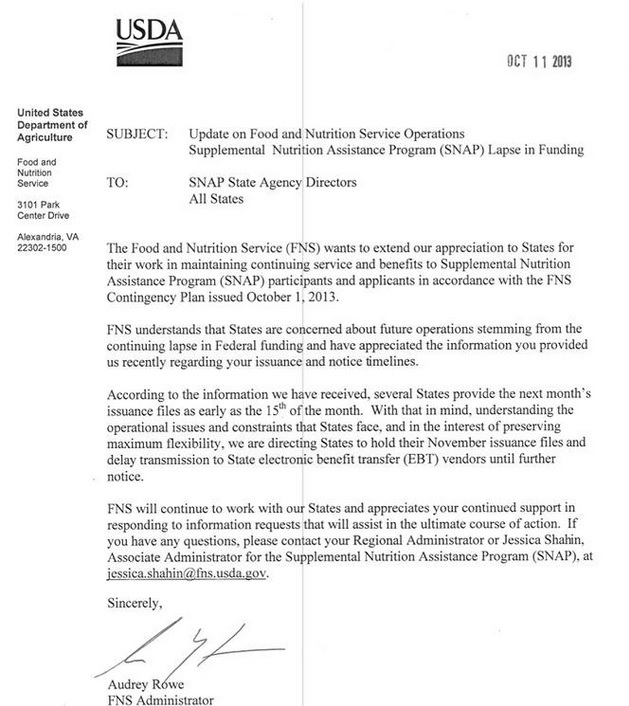 USDA on Friday sent a letter to states asking them to hold off "until further notice" on starting the process that distributes benefits at the first of the month. The Agriculture Department declined to give details on why the automatic funding would not continue. 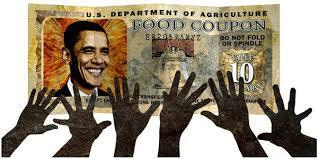 In the 2013 government shutdown, food stamp dollars were not affected. 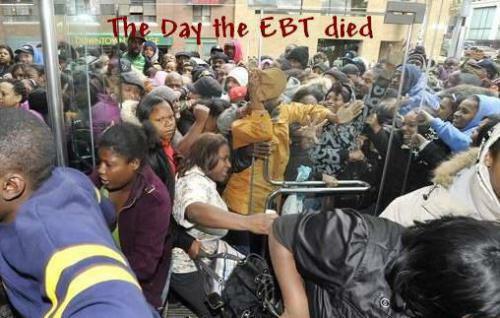 As previous experience has shown, when EBT cards, welfare funds for food or cash, have previously gone down due to simply a "glitch," threats of "Rodney King style riots" have been made, stores were looted, chaos has occurred... and that was just when the system was down for less than a day. "... a sniper standing atop one of the buildings ... firing down at patients and doctors as they were trying to be evacuated." Food riots have been occurring since the 17th century, (see the list over at Wikipedia), so to think for one second that "it cannot happen here" is extremely naive. According to the original US News and World Report article, linked above, the reason that food stamps wouldn't have been affected in 2013, but will be affected this go round, is because "USDA does not have enough money in reserve to pay a full month's benefits and a partial government shutdown would affect recipients in states that pay out their benefits at the first of the month." As you will see below, that MSM quote is patently untrue, as a screen shot of a USDA letter dated October 2013 shows the Obama administration has played this same game before, and directed states to suspend EBT/Food stamp payments until further notice. 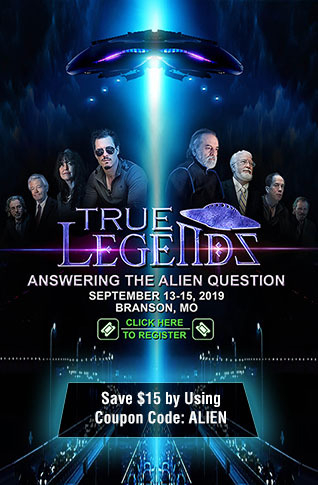 Is this all political theater in order for one side of the political aisle to force the other to back off on their positions on the defunding of Planned Parenthood, and EBT and welfare is being used as nothing more than a political football? The bottom line here is if there is a government shutdown and foodstamp payments are stopped... there will be nationwide riots.